Amongst the jumble in my head is a crystal clear picture. It often pops up uninvited but mostly I call on it when I need to find light in what feels like a dark place in life. It looks something like this. I lean into the memory of Fortnum’s quizzical look. His determined stare. The padding of those massive paws along the wooden floors. 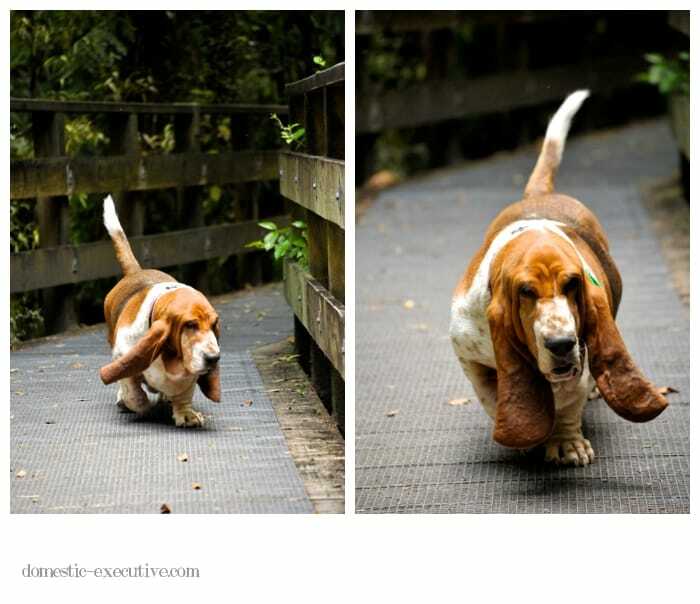 The vibrations as he ran along. The sight of Fortnum sitting on the front veranda, sniffing the breeze. 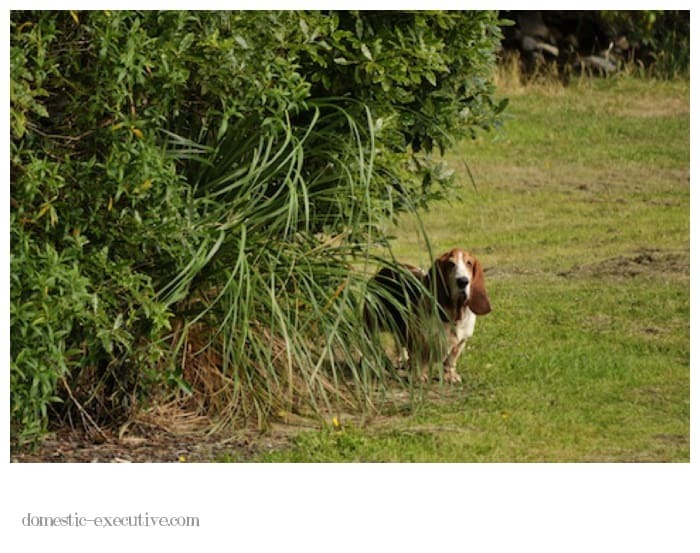 A glance out the window to watch our big basset examining every blade of grass along the boundary. 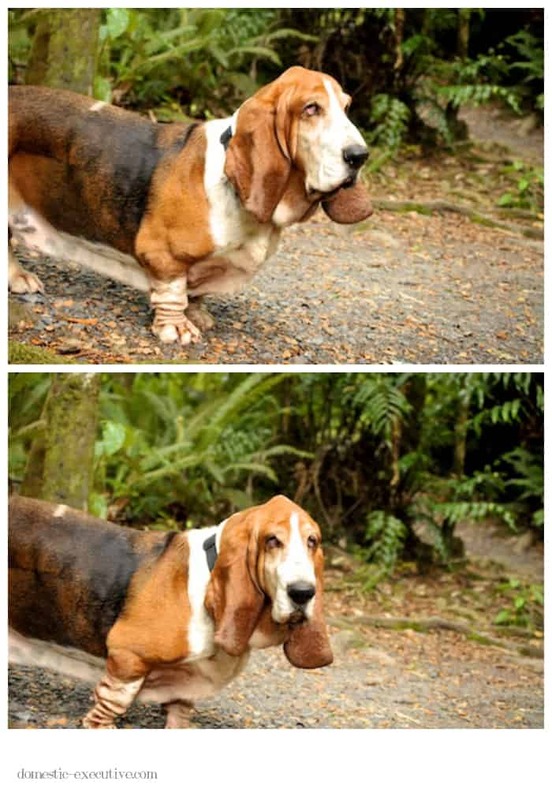 A curled up ball of basset hound, nose to tail sleeping peacefully. A squished face, wrinkles and jowls contorted. A contented sigh. The beat of his tail as I sing his song. An indignant pout after being told off. A silent companion by my desk. Always close by watching over me. 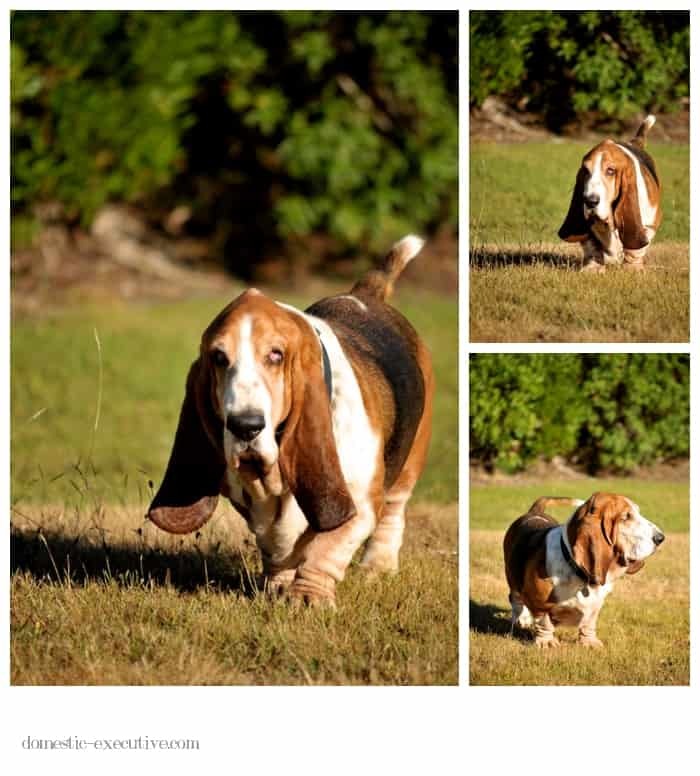 My big basset hound is gone but not forgotten. The last two months have been so very painful. Some days have been an abyss of grief, guilt and forlorn, yet impossible hope, that any moment Fortnum would return from one of his adventures mythering for his dinner. More than two months on without his physical presence everyday I hold him tight in my heart and in my mind. In January, I dusted off my photography gear with new resolve. 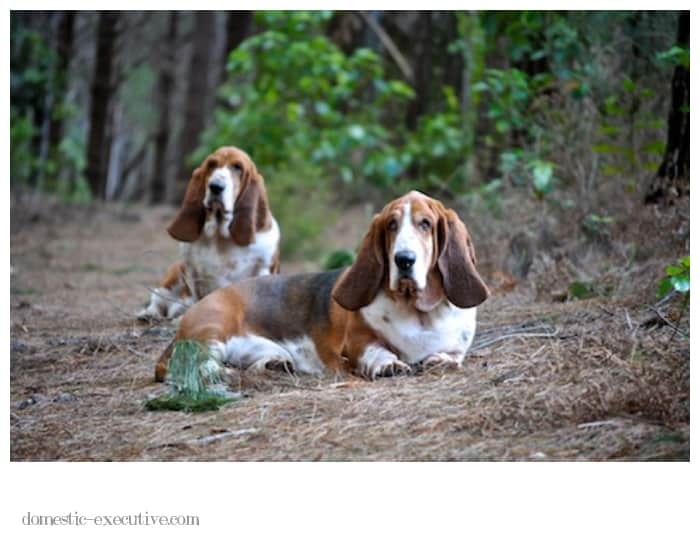 Alas, I only managed one basset blogging shoot before Fortnum passed away. It is with pride and joy I share this last photographic adventure with my two boys. 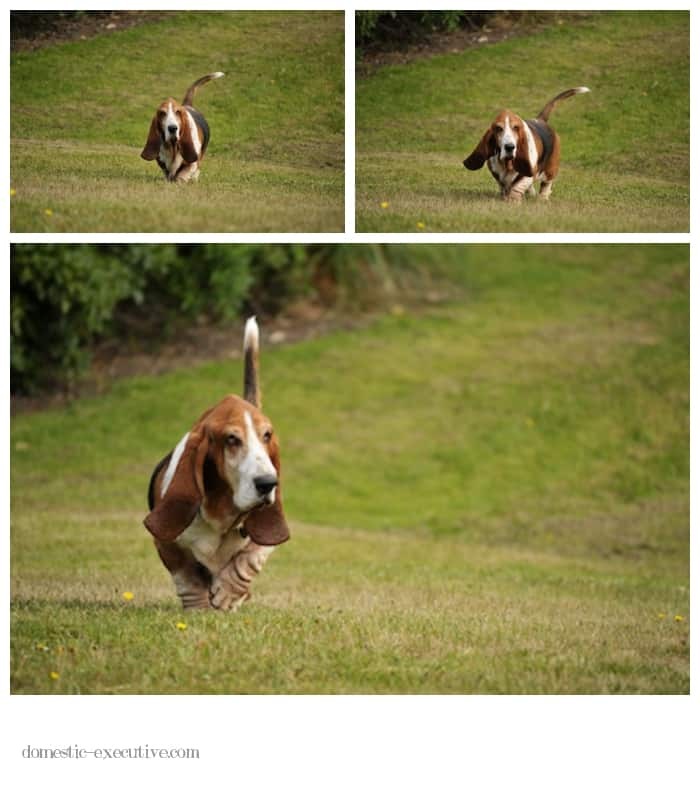 Whilst we miss our Big Basset more than words can say, I only imagine what it is like for Mason. 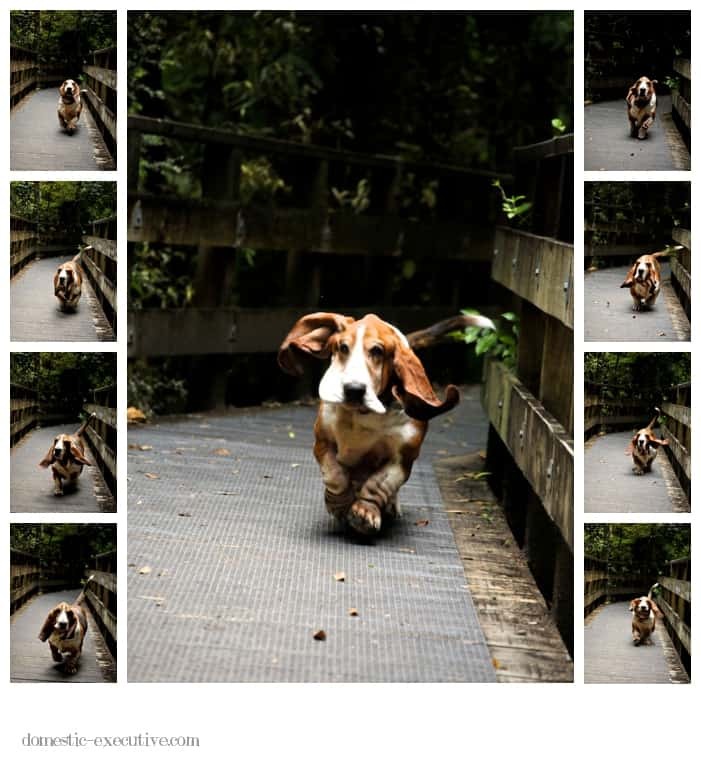 He’s been been so strong finding his way in his new solo basset world. Whilst he’s always been a bit of a mummy’s boy, he stays even closer now. Despite all our efforts and medication he has been most unsettled on his own at night making it very clear that if anyone is to get any sleep the pack must be close together. So now, in the dark hours of the night, I have two sets of snores, snuffles and shuffles to contend with. Only yesterday he ran and played with other dogs. The first time I’ve seen him do this since Fortnum left us. It was good to see him kick up his heels and see him run. They say that grief never ends, but it changes. I know this to be true. Life’s meaning changes when you lose a loved one. Day-to-day we still carry on with routines of eating, sleeping and working but the luxuries in life seem so unimportant. You use all your energy just to get through the day. Although still interested in my domestic executive ways – cooking, baking, gardening, making photographs – my heart just has not been in over recent weeks. To give you a sense of how this has been for me – there is no ironing pile. My free time has moved from nurturing my creativity in the garden, kitchen or in writing to a simple repetitive task that requires little focus and effort. Seeming productive in such a mundane way is about all the life’s purpose I could muster for a while. 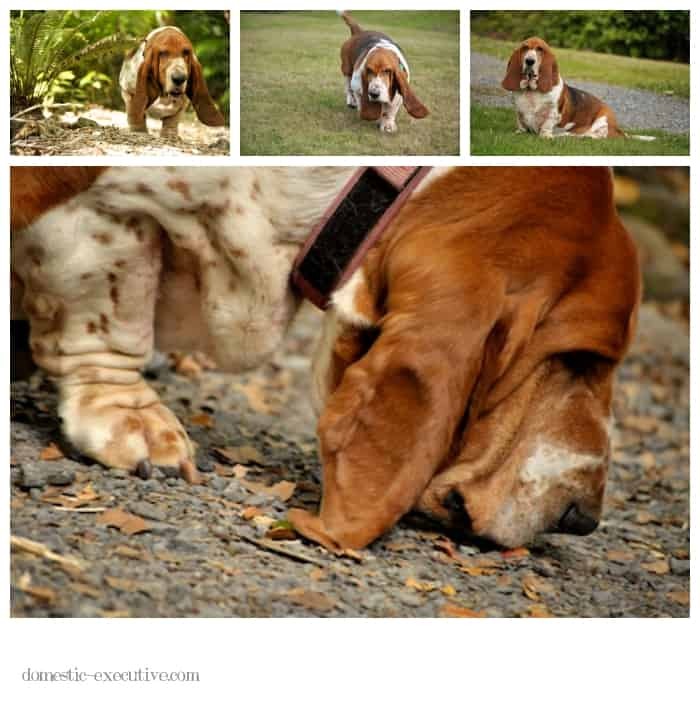 Fortnum’s life was too short but it was full of all the things he loved – eating, sofa time, running, sniffing, hanging around to watch the world go by and plodding along on his daily walk. Just to watch him enjoy his life brought us so much joy. He also gave us companionship, friendship and that unconditional love that makes you a better person as a result. As Mason starts to kick up his heels it’s probably a sign that it’s time for us to find fun in life again. To live life harder. To make more effort and find a new way. If the depth of grief is the price of the love you feel, it’s one pain I never want to go away. If I hold on tight to the memories and remember the good times, those precious moments feel real again and make me smile. Julie, Wonderful post. I know how much Fortnum meant to you all. It’s good to see that you’re coming around and that Mason is adjusting. You and Mr.Executive are his pack now, you were always a part of it but now you are a much bigger part. I love all these wonderful pictures of Fortnum, still so hard to believe that he’s gone as he seems so healthy in these images. Just goes to show that we can never take these precious moments for granted. This is a wonderful post, thank you for making it. 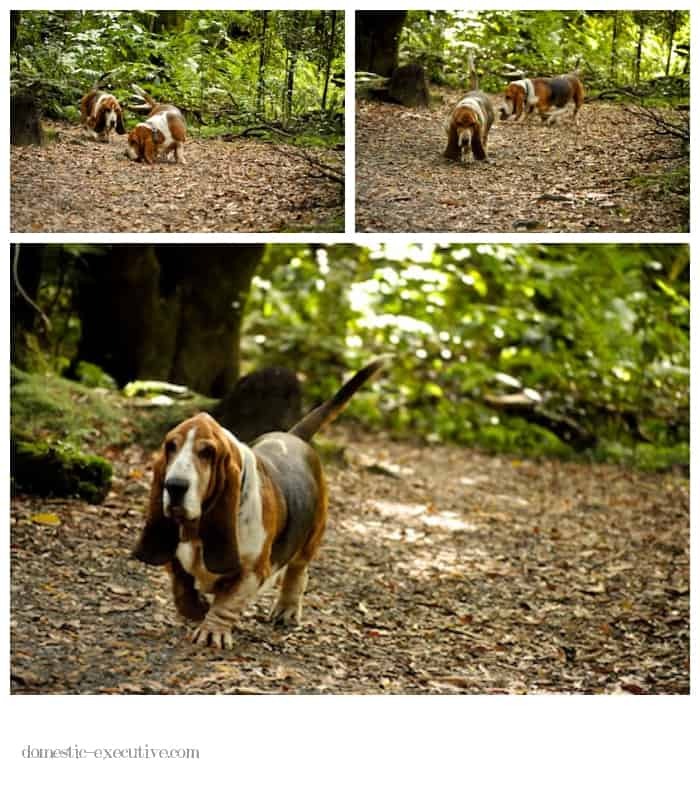 My wife and I had been following your Basset Blogging for a long time now, we even visited London last year, and smiled as we entered F&M, joking there should be Bassets there (to be fair, bassets would improve almost everything). It was a blow to hear of Fortnum’s passing… we can barely imagine the loss you must feel. Beautiful pictures and words, Julie, which are a fitting tribute to Fortnum. I hope that talking through some of the pain has been helpful. Blessings for the changed days ahead.